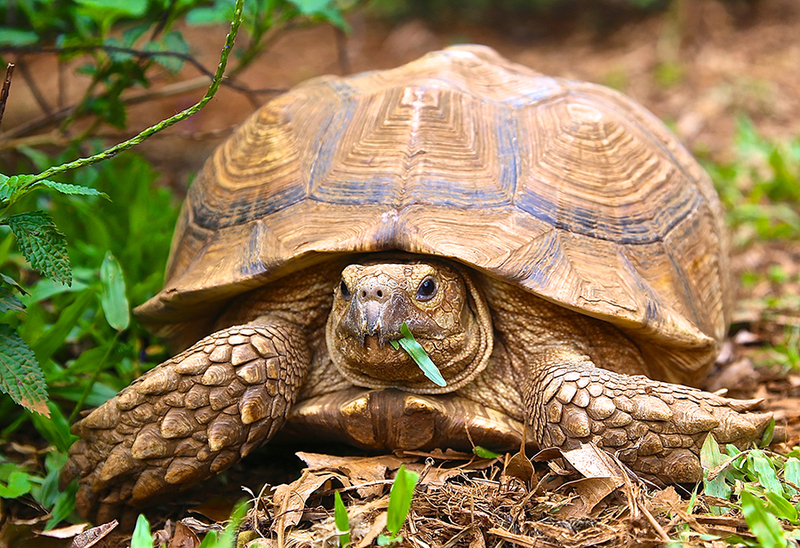 Sulcata tortoises, originating in Africa, can live longer than 150 years and reach 231 pounds. They excavate burrows in the ground, sometimes digging tunnel systems extending 10 feet or more underground. 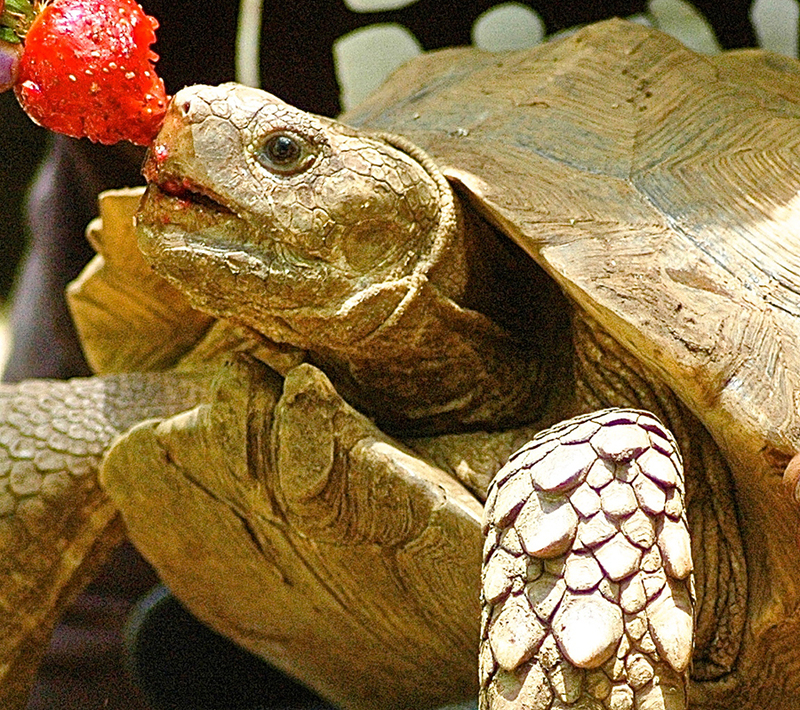 Clarice appeared in a volunteer’s yard and was brought to the Sanctuary.